Hundley and Johnson, P.C. - Hundley and Johnson, P.C. is a law firm dedicated solely to representation of the injured. Providing Hope for the Injured. Personal injuries are challenging enough. You may miss work, lose the ability to care for your family and incur many unexpected expenses. At Hundley & Johnson, P.C., our personal injury lawyers ensure that obtaining compensation for that injury isn’t yet another hurdle for you. When you suffer a personal injury through no fault of your own, our injury lawyers aggressively represent you in the courtroom. However, because each case is different and equally important to us, we spend just as much time and effort to get to know you and understand your individual needs. Unlike larger law firms, you’ll be able to speak to one of our injury attorneys at any time, plus our law firm gives you our complete, undivided attention throughout your case. Hundley & Johnson’s mission is simple: to provide the best possible legal representation to individuals who have been injured through the negligence of others… and do it at a reasonable cost. Our experience wins favorable outcomes. With more than 125 years of collective experience, our personal injury attorneys have probably litigated a case like yours. Whether you’ve been in a car accident or have a defective product case, a small claim or a million-dollar action, we put our experience and resources to work to get you the recovery you deserve. Our integrity earns our clients' trust. 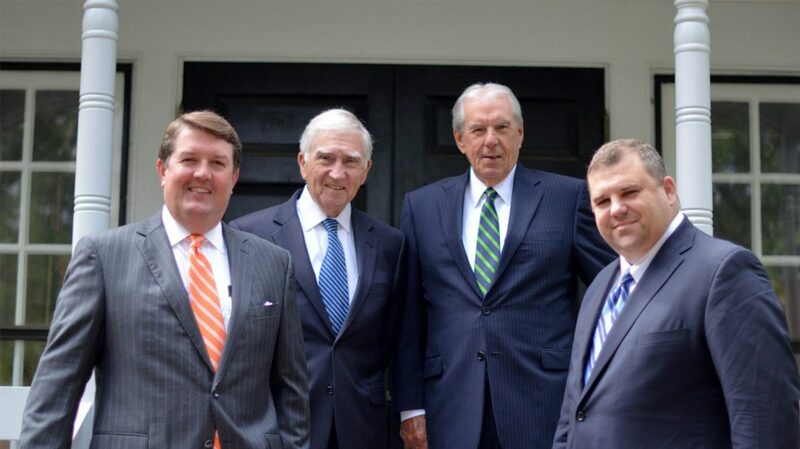 We’re a family-owned personal injury law firm, which means you have two generations of Hundleys and Johnsons protecting and advocating for you. Our concern for our clients’ well-being and our passion for making sure that justice is served have gained us the trust of every plaintiff we’ve represented. Our results facilitate your recovery. When Hundley & Johnson represents you, our injury lawyers dedicate themselves to your case and winning you the compensation to support your recovery. Our law firm works on a contingent fee basis, which means that you don’t pay us unless we win you a recovery through settlement or trial. ©2019 Hundley & Johnson, P.C. All rights reserved.